Richard Baker quits as CEO of Alliance Boots after discussions with all-powerful Stefano Pessina. Although offered a new job with a generous remuneration package, he judges the role to be too toothless,and leaves the company. Cherished British Drug company Boots merges with European partner, whose wealthy owner, Stefano Pessina, becomes deputy chairman in the new company, Alliance Boots. KKR and Stefano Pessina had made it known that they wanted to keep the top team intact. But for all the continuing expressins of good will, the inevitable was to happen. Another top retail executive, Scott Wheway, is also leaving, again in an amicable fashion. The story has been followed in earlier posts. 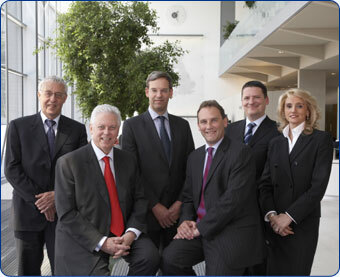 It struck me that in the original merger between Boots an Alliance, the new board had a majority of former Boots executives. But the Alliance side was the more profitable, and Stephano brought with him a sizable shareholding and considerable personal wealth. If takeover is successful, I am not expecting many of actual board members to retain their positions. And so it has come to pass. Not brutally. But Pessina has enough power to be magnanimous. Mr Baker may not have had much temptation to stay on when the alternative was a £10 million incentive to leave, with more chances of securing a new leadership role elsewhere. I’m not sure of the leadership lessons here. Perhaps it is that self-made billionaires are not all ego-crazed narcissists. Maybe absolute power is not always accompanied by absolute ruthlessness. Porsche makes a bid for VW. But it’s an offer they want shareholders to refuse. It may be a bid to secure VW for the Porche family through VW’s ex-CEO Ferdinand Piëch. Confused? It so, you may thinking competitive not collaborative strategy. This week, the financial press reported that Porsche had made a bid for Volkswagen. But the bid was accompanied by a statement that the company intended to exercise its options to acquire a slightly larger stake in the company which would push its shares to the level where it was legally obliged to offer to make an offer for all VW shares. Porsche went so far as to indicate that their bid price under-valued the shares. Even if, for some reason, there were to be an offloading, the shares would be put back on the market. Volkswagen has been protected from a hostile takeover by a little piece of German legislation that has become known as the Volkswagen law. But recently, rulings in Germany indicate that the Law violates EU principles, and is likely to be rescinded. This has opened the way to moves from overseas bidders. German auto manufacturers dusted-down Plan B. This is where a little background on the complicated inter-relationship of German firms and government interests helps. Porsche has enjoyed a long and collaborative relationship with Volswagen. Its first models drew extensively from the engineering technology developed down the years at VW. Today it is considered to be VW’s closest busness partner. VW chairman is Ferdinand Piëch, one of the legendary figures of modern German industry. Piëch is the grandson of Ferdinand Porsche. He was formerly chairman and CEO, noted for his aggressive (‘proactive’) leadership style. He was to be credited with developing the brands of Audi and VW, and reversed the fortunes of VW in America, although his moves for Bentley and Rolls Royce were less successful. One source of his wealth is the 13% share of Porsche. Under that corporation’s rules, he is barred from a directorship as a member of the family. Although no longer CEO, he has enormous influence at VW, and is still chairman of its supervisory board. AS we noted in an earlier posts, VW has suffered a number of bloody battles over its leadership recently. After several departures following corporate misbehaviors, chief executive, Bernd Pischetsrieder, brought Mr. Bernhard, a former executive at DaimlerChrysler, into Volkswagen in October 2004 as part of his plan to cut costs at the automaker. Mr. Bernhard pushed through plans, cut 20,000 jobs and extended working hours during the course of 2006. This upset the powerful Volkswagen union, IG Metall, which is also closely allied with Volkswagen’s chairman, Ferdinand Piëch. In Novemember 2006, Mr. Piëch, together with Porsche, a major Volkswagen shareholder, pushed out Mr. Pischetsrieder in favor of Mr. Winterkorn. If we take Der Spiegel’s line, we have just witnessed one more chess move in the game billionaire Piëch is playing to secure the future of VW with himself in change. Pischetsrieder hadn’t posed any significant obstacle in Piech’s path towards taking power at VW. But he was an inconvenience … Shortly after Porsche’s entry as a shareholder, the VW boss commissioned J.P. Morgan to provide an expert opinion as to whether it could lead to a conflict of interests if Piech, as a co-owner at Porsche, would look to promote the interests of the sports car company as a member of the VW board. The investment bankers recommended that Piëch resign. Pischetsrieder submitted this advice to the board. And with that, his fate was more or less sealed. So there we have it. The septuagenarian Piëch still has an undiminished appetite for a ‘friendly’ fight. Remember the cuckoo in the nest principle noted at Alliance Boots? There are also the unheard melodies. Chess moves considered and eventually rejected. These include the possibility of VW bidding for the increasingly vulnerable Chrysler business from Mercedes. Meanwhile, globally the next generation of global giants in the auto-industry are emerging. Will they eventually replace the increasingly vulnerable American and European dynasties? The friendly bid for Alliance Boots could hardly be friendlier. It is led by the company’s deputy chairman Stefano Pessina, in conjunction with private equity giant KKR. Friendly as in Cuckoo in the nest? (Updated). The Economist (March 17th 2007) examined the likely acquisition of Boots (as it described Alliance Boots). It noted the on-going debate on the merits of private-equity firms, pointing out that Boots was benefitting from effective management, and that the case for change was unconvincing. The leap in share price tells it all. This week the Alliance Boots pharmaceutical and health-care company was talking to itself. Part of the board considered a ‘friendly bid’ put together by the famed private equity company KKR. Another part of the board, led by its own deputy chairman Stephano Pessina, was spear heading the bid. The rest of the board faction has politely responded ‘thanks very much old friend, but do you think you could possibly find some more cash?’. The shares galloped up close to the proposed £10 level. Ambitious company insiders are increasingly aware of the potential of private equity support to mount a bid for ownership. The benefits of such a bid are obvious. The inside knowledge makes due diligence a rapid and relatively risk free process. In this case, the historical events might almost have suggested that such a takeover was on the cards. It has been less than a year since Alliance Boots was created from the merger of health and beauty retailer Boots, and drugs wholesaler Alliance Unichem. After the merger, the new company retained a board strongly representing the somewhat larger Boots organisation, but with a curious-looking side-arm for deputy chairman Stephano Pessina. Although difficult to extract the information from the company’s official web-site, Stephano is a highly successful Milanese entrepreneur who in effect is the owner of Alliance Unichem, and thus, a thirty percent personal stake in Alliance Boots. He was the force behind the conversion of his family firm to an international organisation. A nuclear engineer by profession, he is believed to be disappointed at post-merger progress in the newly merged firm. The debate about private equity companies continues. Influential journalist and blogmeister Robert Peston of the BBC has been to the fore in bringing the debate to a wider audience. In simple terms, KKR is but one of a growing and influential group of financial consortia who have been developing innovative means of acquiring companies and capitalizing on their assets. (It is already in the news in the UK for part of a Consortium interested in the Sainsbury retailing organisation). Opponents of such firms portray them as asset strippers, impervious to human anguish and long-term social goals. Supporters argue that they rescue firms from flabby and ineffective management and return them to economic health. Examples of both kinds may be found. What is clear is that the ambitious entrepreneur within an organisation has a new way of seeking to achieve personal ambitions. You are currently browsing the archives for the Cuckoo in the nest category.